The New England Stars will be fielding teams from Mites (8U) through Midgets (18U) for the 19/20 season in the New England Premier League (NEPHL) at either the Premier, Elite, or Select Division. Midgets will compete in The New England Premier League at either the Premier, Elite or Select Division. * Please note: Goalies are 1/2 price (excluding Midgets). *Alt Fees are $1500 for Squirt - Bantam, & $995 for Mites. Step 1 - Learn To Skate & Learn to Play LTS & LTP are the first step to playing hockey. The Program offered at Skate 3 is a beginners ice skating program for beiginners who have not yet mastered their skating skills. It is designed to prepare skaters who wish to pursue hockey. Step 3 - Squirt to Bantam Travel Our New England Stars Squirt (U9) - Bantam (U14) Division is the next step for players who are looking for a development hockey team. We will focus on age specific development in line with USA Hockey Model. 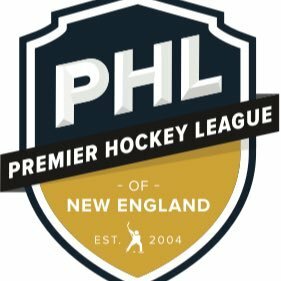 Our teams compete in the New England Premier League (NEPHL). This is for 2005 - 2010 DOB's. Step 4 - U15 / U16 / U18 Midgets Our Midget (U16 & U18) division is for the High School player that is looking to practice two times per week and play about 18-20 games. It is a split season that ends before high school tryouts. This is for 2004 - 2001 DOB's. Step 5 - Junior Our New England Stars Junior Tier III Team is for 16-20 year old players that are looking to develop their hockey at the highest level possible. This is for 2004 - 1999 DOB's. How will the parity process work in the NEPHL? What Rinks do the Stars use? The Stars primary rink is Skate 3 Arena in Tyngsborough, Ma, however we do also use Conway Arena in Nashua, NH for both practices and games. Who runs the skill sessions? The New England Stars Skill sessions are run by Dan Fontas and his professional staff. We will focus on over speed training, edges, balance, small area games, puck possession, puck support and much more! We will push our players to get out of a comfort zone to reach their maximum potential. All coaches will correct our players during each session. We will focus on proper techniques that will enhance our players skill set. Our Skills our second to none, Just ask around!